Johanna has represented a broad range of technology companies in Federal and State Court, with a primary focus on bio-technology, high-tech laboratory equipment, and the healthcare industry. 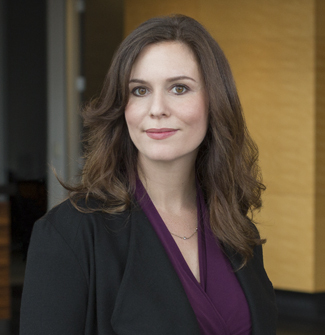 In addition, Johanna is a member of the firm's life sciences working group. Prior to law school, Johanna conducted neuro-physiological research in the Vision Center Laboratory at the Salk Institute. During her time at Boston University, Johanna researched cellular signaling in prostate cancer at the Cancer Research Center in Boston University’s School of Medicine. Johanna also externed at Macropore Biosurgery in San Diego and in the Aerospace and Mechanical Engineering laboratory at Boston University. In little under a year after its enactment, a Federal Court jury in the Eastern District of Pennsylvania issued the first verdict under the Defend Trade Secrets Act in favor of the Plaintiff Dalmatia Import Group, Inc. The jury awarded Dalmatia $2.5 Million in total damages for all claims, with $500,000 attributed to its DTSA and Pennsylvania Uniform Trade Secrets Act claim. Just this week, Dalmatia filed a motion for judgement on the verdict, seeking treble damages for its related trademark and counterfeiting claims. If the court awards treble damages, total damages could exceed $5 Million.